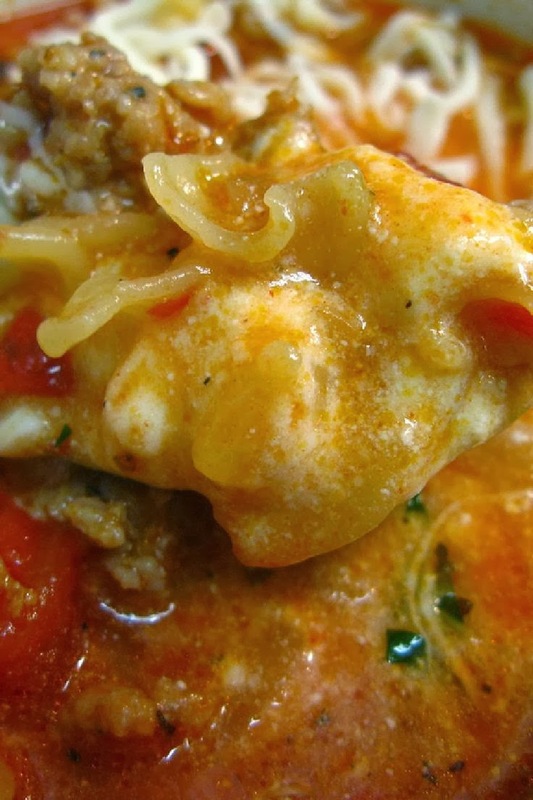 Lasagna Cheese Soup! Really good flavor, but next time I will parboil the noodles before adding to meat & sauce! !